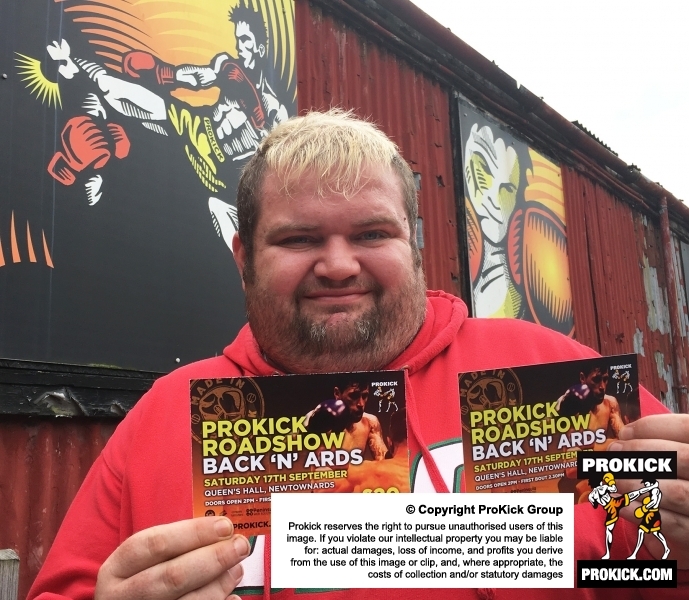 The man from #‎Strabane has lifted the first two ringside tickets for ProKick's next event - which is, Back 'n' Ards' at the Queen's hall on Saturday 17th September 2016. McCusker, the ‪#‎StrabaneMan‬ was back at the ‪#‎oldTinHut‬ making ‪#‎arrangements‬ for a comeback to get into shape. The ProKick Roadshow will be Back 'n' Ards' at the Queen's hall on Saturday 17th September 2016. The event will focus mainly on the kids for a light-contact competition matches. We will also have a few adult matches on the card. Bangor fighter, World Champion, Johnny ‘Swift’ Smith, along with a female World Champion, Samantha Robb, may feature on the event. Also teenage sensations, Dundonald’s Jake McCreedy, and Prokick’s adopted Swiss son, Killian Emery, will compete at the Queens Hall.